Ever wondered why shopping apps don’t have an integrated wish list to help you remember buying presents when you’re out shopping? 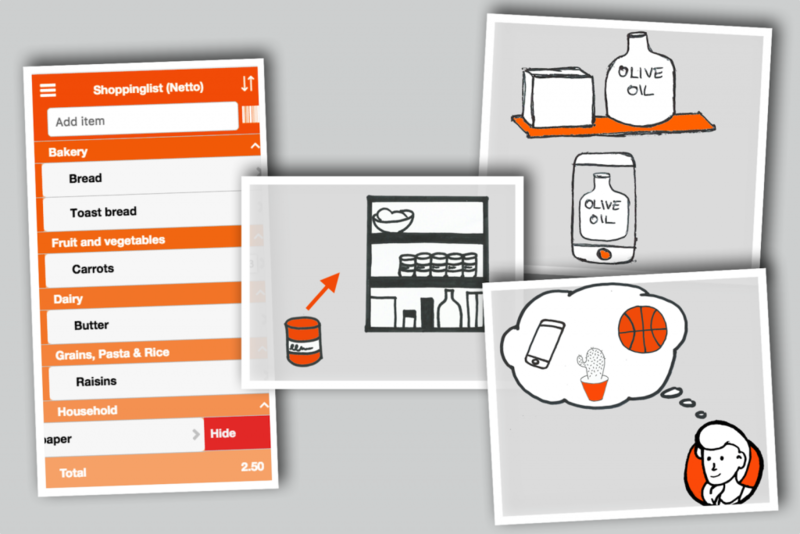 Or why no grocery apps seem to have stock control integrated with the shopping list? Look no further, this and more is covered by the new Grosh 2.0 Premium shopping app. If you’ve been using Grosh, you’ve probably been wondering how we make money. The short and honest answer is: We don’t! Grosh has so far been funded 100% by investments. The long term plan is of course that Grosh should be a sustainable product that generates enough money to pay for development and operations. Grosh has and always will be available in a free version. However, to support the continued development of Grosh, we need to generate revenue. With Grosh 2.0 there’s now a way for frequent users to support us by signing up for our new Premium subscription. The subscription also provides access to a number of premium functions and premium support. Stock management to avoid items going out of date and wasting good food – see separate post. Wish lists to make it easy to share wishes and coordinate shopping. No more double purchases, as described in this post. We’ve made a shopping app review as we were building Grosh Premium, in order to ensure we have competitive Premium product at the right price. You can read the full review in a separate blog post, but the conclusion is that Grosh offers much more than other shopping apps in our free version. However, we hope that many of our regular users would like to make the relatively small contribution of the subscription fee to help the product evolve. We’ve set the price to match the average subscription fee of our competitors which is 7.49EUR per year. To see the price in your own currency, take a look at the upgrade screen in the app. How do I get the Premium version? The Premium version is embedded in the normal Grosh app, so no need to download a new app. We’ve added a menu item at the top of the menu called “Upgrade to Premium” next to the Grosh logo. This is visible to all users, except for users who have upgraded to Grosh Premium. If you tap “Upgrade” you’ll be shown more info about the Premium subscription and there’s buttons to perform or restore an Apple iTunes or Google Play in-app purchase of the Grosh Premium subscription. Any changes to the free version? The free version has all the functionality intact, but if you’re a regular user banner ads will appear after a while. We’ve tried to make them small and place them non-intrusively at the bottom of the screen. With the banner ads, free users can also contribute a little bit to keeping the Grosh development going – but we urge frequent users to consider upgrading to the Premium version. Hide items to declutter shopping list. We’ve changed the behaviour of left swipe when you shopping in a store. Left swipe now enables you to hide items temporarily from the list instead of deleting them. This is very useful when realising an item isn’t available at the store you’re at and don’t want to spend time looking at it anymore. The item is still visible to other users looking at the shopping list and will also re-appear on your list when your shopping trip is complete (or you restart the app). Wish list app not needed anymore – try daily shopping app Grosh!